LG has officially announced LG G Pad 8.3 Tablet, a high standard tablet set to be released first in key markets such as North America, Europe, and Asia. 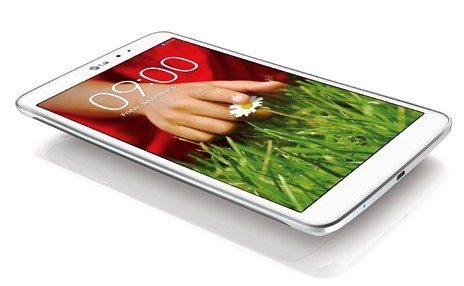 The LG G Pad 8.3 has been dubbed as "the first full HD tablet on 8-inch tablet family". Packed with extra features, usually not found in other high-end devices which will be discussed later on. Its main specs consist of 1.7GHz Quad-Core Qualcomm Snapdragon 600 Processor, the same processor found on Xperia Z and Samsung Galaxy S4. The screen will boost 8.3-inch WUXGA at 1920x1200 resolution IPS capacitive display, at 273ppi pixel density per inch. More LG G Pad specification below. WUXGA (Widescreen Ultra Extended Graphics Array) - Enjoying full HD experience, capable of delivering true HD graphics that normal HD screen can't accomplish. Usability and Portability - Powered by fast processor, LG G Pad 8.3 can execute command in smooth fluid experience, effortless multitasking at your fingertips. The G Pad 8.3 is so sleek and compact despite its size, measuring only 8.3mm thick, and weighing 338g. Using the tablet in one hand can be comfortable, while enjoying the weightless experience. LG Exclusive Features - These features are usually found on other LG Smartphones, which list QPair, QMemo, QSlide, Slide Aside and KnockON. LTE Capable Tablet - Having such connectivity feature is a big plus, stream videos like never before, seamlessly download stuffs in a blink of an eye, thanks to LTE 100mbps down-link capability. 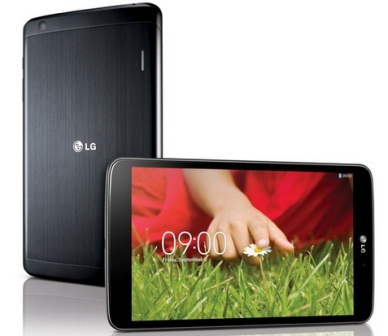 No word yet about the price, but for its availability, LG G Pad 8.3 will be first released in North America, Europe, and Asia. Specific countries is still yet to announced. The release date of LG G Pad 8.3 will be sometime on the fourth quarter of 2013.